This Microsoft Certified: Azure Administrator Associate training is aligned with the latest 2018 edition of Exam AZ-103: Microsoft Azure Administrator which is a combination of AZ-100 and AZ-101. The training covers everything you’ll need to know as an Azure administrator, including managing subscriptions and resources, implementing storage, deploying virtual machines and networks, managing and securing identities, migrating servers to Azure, and managing app services. The Microsoft Certified: Azure Administrator Associate online training course is ideal for Azure Administrator roles that emphasize deployment, management, and monitoring of Azure infrastructure resources. The holistic certification training will provide you with a deep-rooted comprehension of the entire administrative lifecycle of Azure environments and show you how to maintain services related to compute, storage, network, and security. Upon completion of the course, Azure administrators will be able to accept requests for infrastructure services and applications, make suggestions on services for optimal performance and scale, and provision, size, monitor, and adjust resources. Please note that Exam AZ-100: Microsoft Azure Infrastructure and Deployment training will be available as live virtual classroom and Exam AZ-101: Microsoft Azure Integration and Security training will be online self-paced learning. What is required to earn the Azure Administrator certification? NOTE: This exam is a combination and replacement for 2 exams previously known as AZ-100: Microsoft Azure Infrastructure and Deployment and AZ-101: Microsoft Azure Integration and Security. What is the new learning path for AZ-103: Microsoft Azure Administrator and when is it effective from? Yes, this Azure Administrator Associate certification is the replacement for Exam 70-533. You can get this certification by passing exam AZ-203. This holistic curriculum prepares you for the exam. What is the difference between 70-533: Implementing Microsoft Azure Solutions and Microsoft Certified: Azure Administrator Associate Certification? This new Microsoft Certified: Azure Administrator Associate certification has evolved to have more in-depth coverage of the role-specific skills required in the industry compared to the previous certification. What if I have already taken the 70-533: Implementing Microsoft Azure Solutions certification exam? 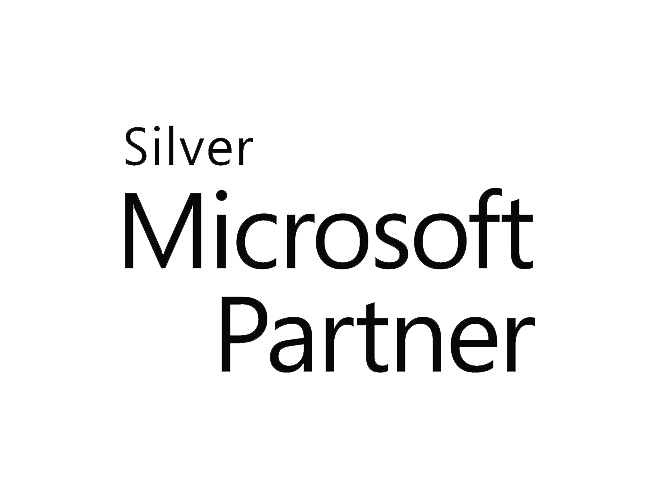 How do I become a Microsoft Certified Associate: Azure Administrator? If you have already taken the 70-533: Implementing Microsoft Azure Solutions certification exam, then you must take the Microsoft Azure Administrator Certification Transition: Exam AZ-102 to become a Microsoft Certified: Azure Administrator Associate. How much do the Microsoft Azure Administrator certification exams cost? The cost of the Exam AZ-103: Microsoft Azure Administrator is $165.00 USD plus taxes (for US residents) each and INR 4800 plus taxes (for India residents) each. This fee is paid to Microsoft when you register for your exam. Contact us using the form on the right of any page on the Simplilearn website, or select the Live Chatbot. Our customer service representatives can provide you with more details. How can I pass the Microsoft Azure Administrator exam in my first attempt? Simplilearn’s training course is designed to give you all of the skill-sets necessary to successfully complete the required projects and help you pass Exam AZ-103: Microsoft Azure Administrator in your first attempt. Please note that this course does not guarantee you will pass in your first attempt but you will be armed with all of the knowledge to do so. When you take Simplilearn’s Microsoft Azure Administrator certification, you won’t need additional study materials. Everything you need to pass the certification exam will be provided in the course. How should I prepare for Microsoft Azure Administrator exam? Simplilearn’s Microsoft Azure Administrator training is aligned with the requirements of the exam. As such, our experienced trainers will help you learn to use the Azure Admin platform and prepare for the certification exam. The successful completion of Simplilearn’s Azure Administrator training will allow you to pass the certification exam and get certified. How long is the Microsoft Azure Administrator certification valid? This certification is valid as per Microsoft discretion. Retired certifications (i.e. certification for technologies that are no longer being used) move to the retired section of a candidate’s transcript. Where can I download the Microsoft Azure exam application? You can download the application for the Azure certification here. In what languages are Microsoft Azure Administrator exams available? The Azure exams can be taken in a variety of languages. The exams are available in English, Spanish, Chinese (Simplified), Chinese (Traditional), French, German, Japanese, Portuguese (Brazil), and Russian. Those who have to take the test in English and aren’t comfortable with it can appeal for additional time. An Azure Administrator is responsible for implementing, monitoring, and managing Microsoft Azure solutions, which spans key services related to compute, storage, network and security. Microsoft Azure is a cloud computing platform that allows individuals and organizations to deploy web applications, virtual servers and IT platforms. It also allows them to host databases, perform analytics and store data. What is a Cloud Administrator? A cloud administrator manages cloud-based IT resources. A cloud administrator can either work directly for a company’s cloud services organization or can also be a third-party organization contracted to administer the cloud-based IT resource service. Is the AZ-103 exam fee included in the course fee? Yes, the AZ-103 Exam fee is included in the course fee. What certification will I receive after completing the Azure Administrator training? After successful completion of the Microsoft Certified: Azure Administrator Associate Certification training, you will be awarded the course completion certificate from Simplilearn. We provide recordings of each session you attend for future reference.